A revision manager who prepares a change request and a strategy designer who works on the assigned change request can now create and modify predictive models as a part of a regular change request work and outside change requests. 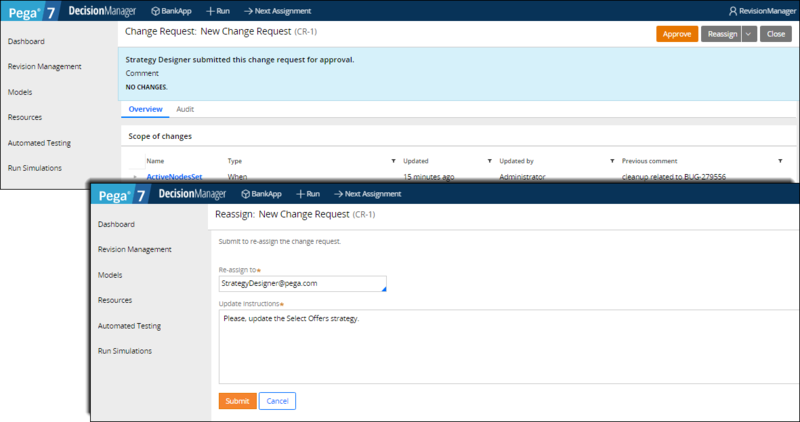 A revision manager can reassign a change request for additional changes to the person who submitted the change request or to any other users of the Decision Manager portal. Reassigning change requests does not remove previous changes that were submitted to the revision manager for approval. A revision manager can still reject a change request and delete all the changes that a strategy designer made. A strategy designer and revision manager can create test cases for strategies, view all the test cases across the strategies, and run them on the Automated Testing landing page. PegaUnit test suites are not currently supported in revision management. If you try to create a test suite, a warning message about insufficient privileges is displayed. 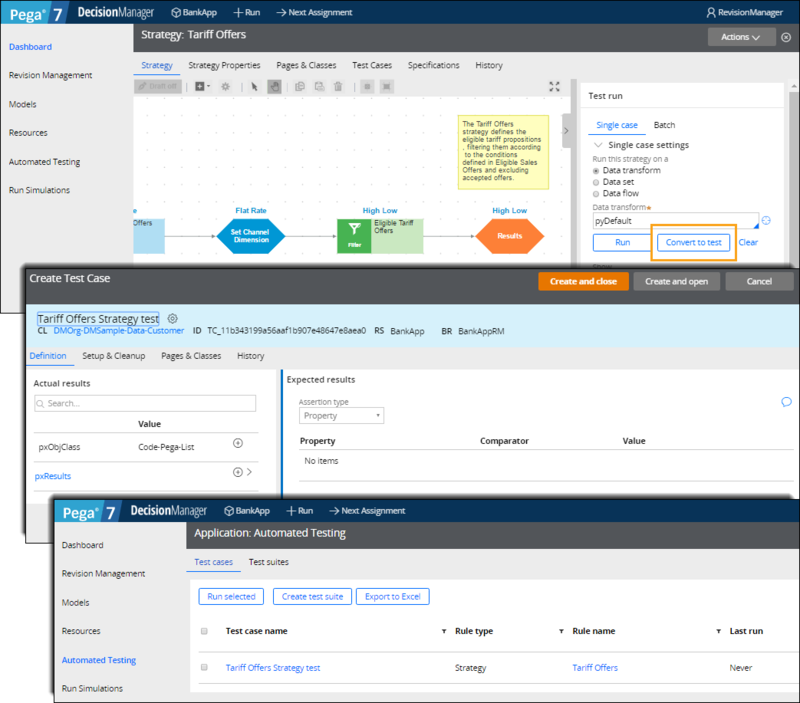 In the Decision Manager portal, you can use PegaUnit rule testing on the following rule forms: Data transforms, Decision tables, Decision trees, and strategies. For more information, see PegaUnit test cases.